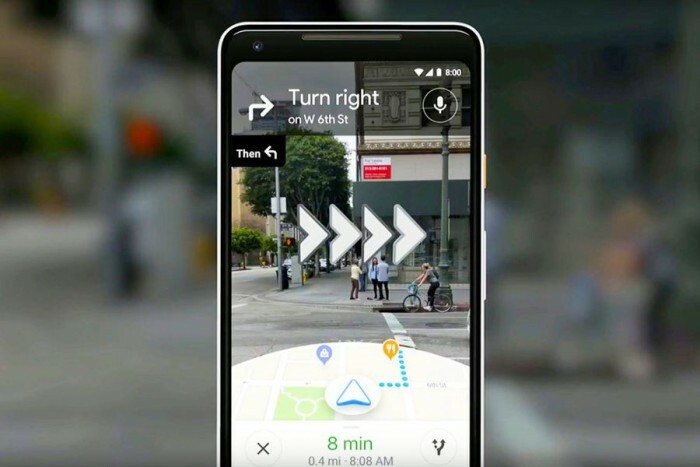 At last year's I/O Developers Conference, Google showed off a new Augmented Reality feature for Google Maps, which can provide real-time navigation for users through mobile cameras. As the foreign media The Verge said, this feature is somewhat similar to what Google Glass promised before, but it is not dependent on head-wearing devices. David Pierce from the Wall Street Journal recently tried an early version of the AR feature in advance. In the report, Pierce said that Google has been testing the user interface, and if it finds that the camera is too positioned on the ground, it will alert users to ensure that the function can be used safely. Pierce said that the version he previewed might be modified before it was officially released. Google did not say when the AR function would go online, but said that some tour guides would be invited to test it and that it would only be officially released after meeting Google's expectations. Pierce points out that there are several points. First of all, one of the advantages of this function is that it provides very specific location data for people, and it is unlikely that this function will remain at the mobile level only. In the future, it may be redeployed on smart eyeglasses equipped with AR function. Apple, Facebook, Google, North, Vuzix and other companies are selling or selling AR glasses, which means that Google may return to Google Glass in the future. Google Maps began to provide more detailed commuter services and support music playback.